We design sites for companies of all sizes, from individual artists sites to large database driven corporate sites. We also provide unique trade show registration systems and other information distribution systems for the show floor. 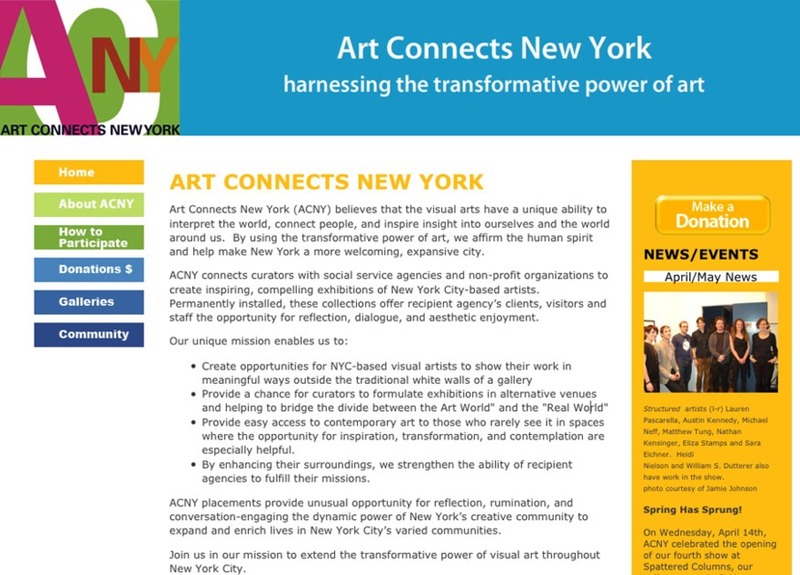 A screen grab of the home page for the Art Connects New York site we designed.